The right flooring can enhance a room’s warmth and character while increasing your home’s value. But with no shortage of flooring options available today, finding the right fit for your space can seem daunting. Thankfully, LakewoodAlive is here to help. 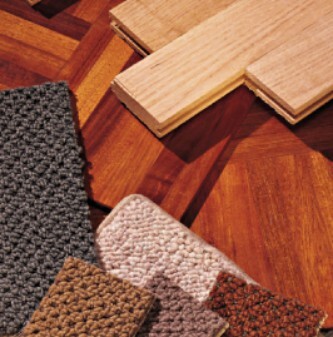 LakewoodAlive’s “Flooring Options” workshop takes place on March 11. LakewoodAlive will host “Knowing Your Home: Flooring Options” on Saturday, March 11, from 10 a.m. to 12 noon at Cleveland Lumber Company (9410 Madison Avenue in Cleveland). The second workshop of 2017 for this popular home maintenance educational program will highlight various flooring options for the different rooms in your home. Industry experts from Cleveland Lumber Company and North Coast Floorcoverings will join LakewoodAlive for this free workshop, discussing the strengths and weaknesses of various flooring options, as well as where each option works best. This workshop will explore the latest trends in the flooring industry, including heated flooring, cork, high-end laminates and other flooring trends. North Coast Floorcoverings will present regarding cost expectations and the installation process for each of the coverings, enabling homeowners to compare options by durability, cost and ease of installation. Ultimately, this workshop aims to equip attendees with the knowledge necessary to select a flooring product and have it installed with confidence.